2017.06.12 / The Presentation Guideline is announced !Please Click Here ! 2017.04.21 / The Online Registration System is Under Maintenance Today! 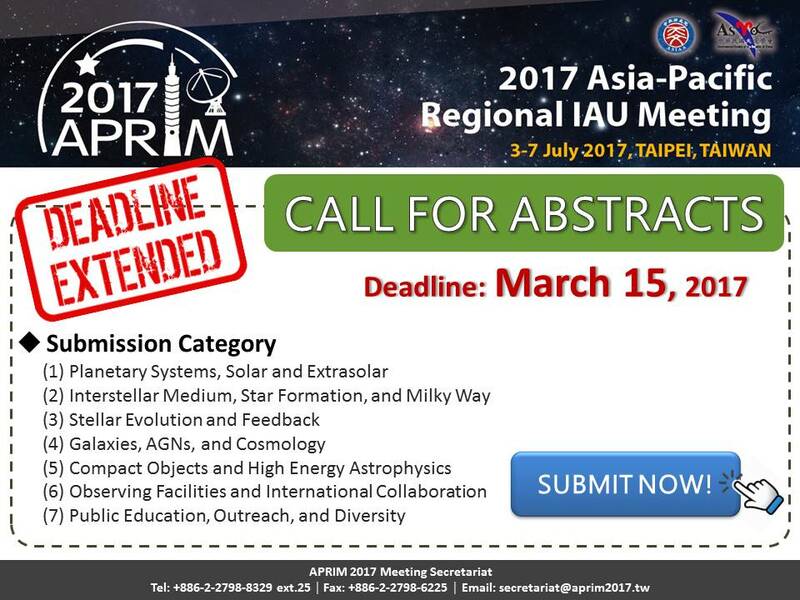 2017.04.17 / The Notification of Abstracts for Oral and Poster Presentations and IAU Grant Result will be announced on April 20, 2017! 2017.03.01 / The Deadline of Submission is Extended to March 15, 2017!!! 2017.01.03 / The Meeting Tour Information is announced. 2017.01.03 / The IAU Grant Application is announced. 2017.01.03 / The Online Registration System is Open. Register Now! 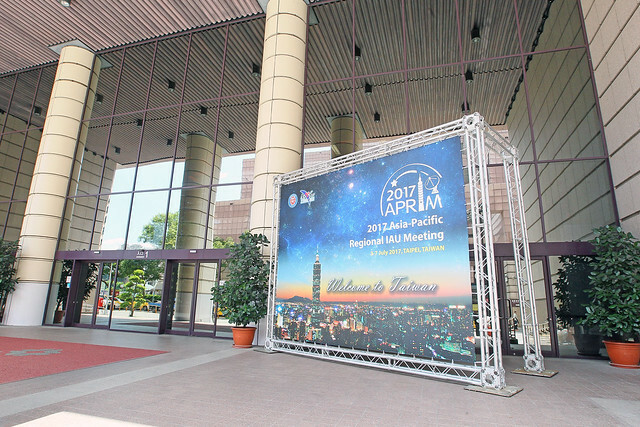 2016.04.06 / Welcome to APRIM 2017 Website.